To provide quality after school care for students attending Hanahan Elementary School. It provides adult supervision at all times. Immediately after school dismissal until 6:00 p.m. There is a $10.00 late fee for students that remain after closing, payable at the time of pickup. Students will be signed in on an attendance sheet daily. You will sign your child out through the cafeteria. Only the designated people on the student's application form will be allowed to pick up the student. If, for some reason, your child will not be attending Latchkey on any given day, please be sure to let one of the Latchkey staff know or leave word with the school office. Please remind your child that it is their responsibility to remember their homework each day as we are unable to take them back to class. Homework time begins at 4:00 pm and assignments not completed by 5:00 p.m will be sent home to be completed. If a child becomes ill during Latchkey, a parent will be notified and arrangements must be made immediately to pick the child up. 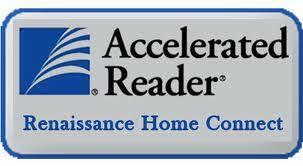 Check on your student's progress on taking Accelerated Reader tests by clicking on the link above. Did he/ she remember to take that test today? How did he do on it? You no longer have to wait until you talk to the teacher! Just login using your child's regular AR login/ password. It will show what books they have been taking tests on and how they are doing. Remember, students will occasionally fail Accelerated Reader tests. Please take an overall view of how they did when you consider all quizzes. Perhaps the book was a bit out of their level. They are usually allowed to get one book at the library that might be out of their level just for fun. It should not be a chapter book. Schedule a conference with your child's teacher if you become concerned. ant Director, and a staff with a student/staff ratio of at least one worker for every 20 children.